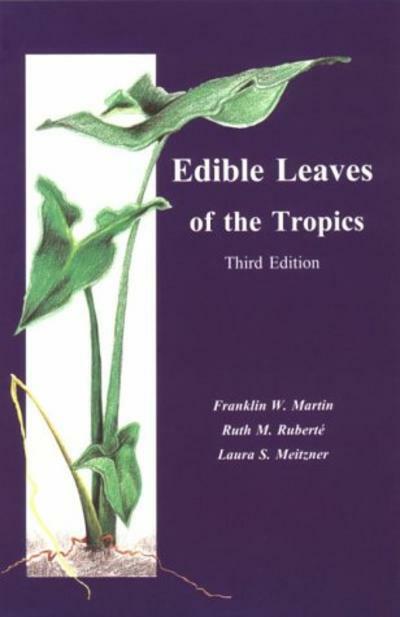 People interested in tropical gardening or botany will find this an indispensable guide to several hundred species of plants with edible leaves. Leaves can provide high-quality food, and in the tropics, many are from perennials requiring little effort for their abundant production. In addition to those species widely known as leafy vegetables, a tremendous variety of trees, ornamentals, weeds and other plants bear leaves which are eaten or are used for flavoring. This book describes familiar and exotic plants with edible leaves, discussing their origin, growth habit, cultivation guidelines, nutritional value, preparation, multiple uses and cautions. A comprehensive appendix lists over 1500 additional species reported to have edible leaves. The new edition includes expanded information on the most promising plants tested over a wide range of conditions and tastes, as well as updates on food value and resources on this topic. It is useful for all those working with tropical plants, as well as those involved in community nutrition or agricultural development.